…I’d ask all restaurants in NYC to, for one day per month (or more! ), serve 1/3 less food on their plates but charge the same. Then give their surplus profit, from utilizing less food stock, to reputable homeless organizations throughout the city. There would be less food waste, diners would still have full tummies, there would be no loss of margin for the restaurants and the homeless organizations, and those they serve, would reap the benefits. I had the pleasure of interviewing Marco Scognamiglio, Global CEO, RAPP Worldwide. 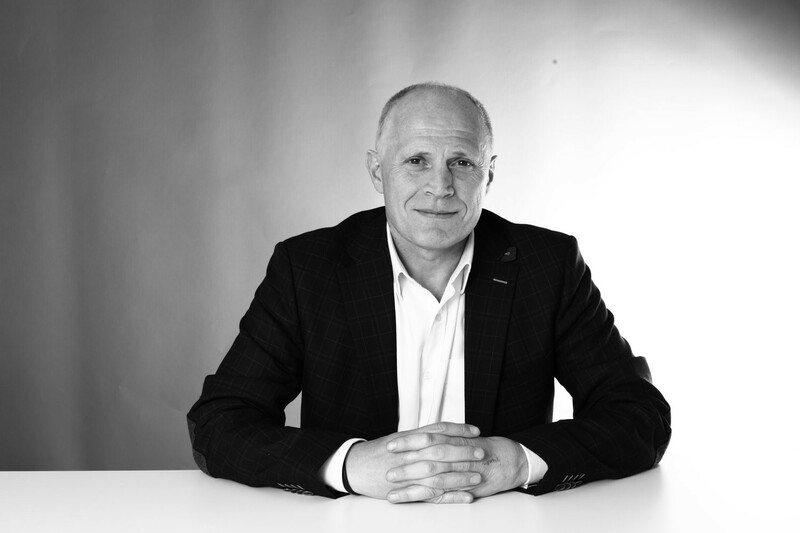 Most recently, as President, RAPP EMEA & APAC — EVP, Global Clients, Marco led RAPP’s international growth initiatives to build a relevant RAPP network in Europe, the Middle East, Africa and Asia. Since joining the agency more than 15 years ago. Marco has built an extremely robust brand for RAPP internationally — called “immensely likable… with surplus energy that he puts to impressive use,” by the UK’s Campaign Magazine, Marco is noted for his ability to develop strong relationships with global clients. I’ve got a true multinational background, with my mother being Austrian and my father Italian. I spent my early childhood days living in Newcastle Upon Tyne, England, then moved to North Wales when I was 11. I actually graduated with a degree in Chemistry, but, next thing I knew, I ended up in Advertising! And the rest, as they say, is history. I believe it has to be when I was a graduate, working at Saatchi and Saatchi during the late 80s’ (ouch!). My tenure there was during the reign of Maggie Thatcher and I once went to the house of Parliament with my big boss to meet MP (Parliament Member) to discuss the introduction of identity cards, as you see in the US. It was quite an experience, even though the government never went down that route. – You must always have crystal clear clarity between all team members on shared objectives, coupled with precise and aligned-upon success metrics that can be tracked against and evaluated. – It’s important to build teams that don’t have their personal interests at heart, but the task at hand for the company or particular client challenge we are trying to address. – What’s more, it’s crucial to build teams consisting of people who are willing to accept that change is the only constant in our industry (and life!) — so what they set out to do as a task may change. For example, people who embrace change and roll with the punches, for the bigger picture/gain of the task at hand. – Last, but not least, it’s important to find colleagues who you can simply get on with each other. It’s invaluable to actually like and respect each other — displaying good manners, as relationships are key in this business. – Being sensitive to time zones is important, as there is always someone who suffers (in our case, it’s usually Asia) when doing regular global calls with leaders. – Recognizing, embracing and truly learning the ins and outs of what is important to leaders in various markets (i.e. the US versus South America) is key. Without consistently studying and respecting each market, I can’t adequately guide market teams or stick everything together for the larger picture of the business. As an example, as supplier and team diversity metrics are more prioritized by clients, I see cultural nuances even more. The diversity focus in the UK is vastly different from that of the US — so while diversity is an all-encompassing word, understanding the geographical and market differences helps me make better decisions, and guide my local teams more appropriately. – Empower your talent to do their task — you hired them for a certain job, have faith and support! – Provide clear objectives, through regular check-ins, and recognize that your talent may need to change (which isn’t always a bad thing — learning and shifting = growing). – Listen more. Talk less. – Use your emotional intelligence to sense when they will need support — and encourage them to ask for it. Most times when people quit their jobs they actually “quit their managers.” What are your thoughts on retaining talent today? Totally fair point, which I believe is prevalent today more than ever in our fast-paced, grueling industry. I think the points I made above — and not just as lip-service, but owning them, and holding my leadership team accountable to the same — are ways to reduce turnover within my agency. – Emphasize balance. Every employee needs balance, from senior leadership to our most junior talent — and very few can find it in today’s day and age. I emphasize the importance of balance every time I have an opportunity to connect with my global network and try to practice what I preach, like not emailing or asking for deliverables on weekends. – Accept nothing short of respect. Manners and respect beget collaboration. And a team that likes and respects each other, and enjoys the process and outputs of their efforts, will be more dedicated to you and the business in the long-run. Answer your emails, return your phone calls, pitch in always. – Be flexible. Every person in a team, and every team around the world, does things differently. That doesn’t mean that one way is superior to the other — as long as the job gets done. Be flexible and when someone does something different from you, take an opportunity to learn from it. This happens often between my US and UK offices, who create, use and share different technologies for projects like emails and customer journey creation. – Expand your horizons. As CEO, it’s obviously my job to help my teams manage the bottom line for their clients and help their clients’ businesses grow. But it’s also important that I encourage our talent take time to expand their horizons and focus on subjects that they’re passionate about. For example, I’ve got a colleague at RAPP UK with a passion for amplifying the visibility of those with disabilities, and has spent time making connections with folks in the field. We recently introduced those connections to a renowned client, and are on the verge of all working together. What’s more rewarding than bringing your passion to life in the workplace? It’s possible if we allow our talent the time to explore what lights their fire. – Focus on the important tasks. It was once hammered home to me the importance of prioritizing — not for me, but for the business. When I do that, all tasks seem to fall into place. I’d ask all restaurants in NYC to, for one day per month (or more! ), serve 1/3 less food on their plates but charge the same. Then give their surplus profit, from utilizing less food stock, to reputable homeless organizations throughout the city. There would be less food waste, diners would still have full tummies, there would be no loss of margin for the restaurants and the homeless organizations, and those they serve, would reap the benefits. In life, there will always be “urgent” tasks — especially relevant in my role as CEO. But just because someone (myself included) labels a task as “urgent,” doesn’t mean it’s the most important on the to-do list. Keeping this in mind has helped me achieve balance as best I can, as I go through my constant whirlwind.